Following his acclaimed 2015 DARK TWIN and 2016 CYBORG PIANIST tour, award-winning London-based Australian pianist and contemporary music specialist Zubin Kanga returns in a program of ground-breaking works for piano and multimedia by some of the hottest composers from around the world. 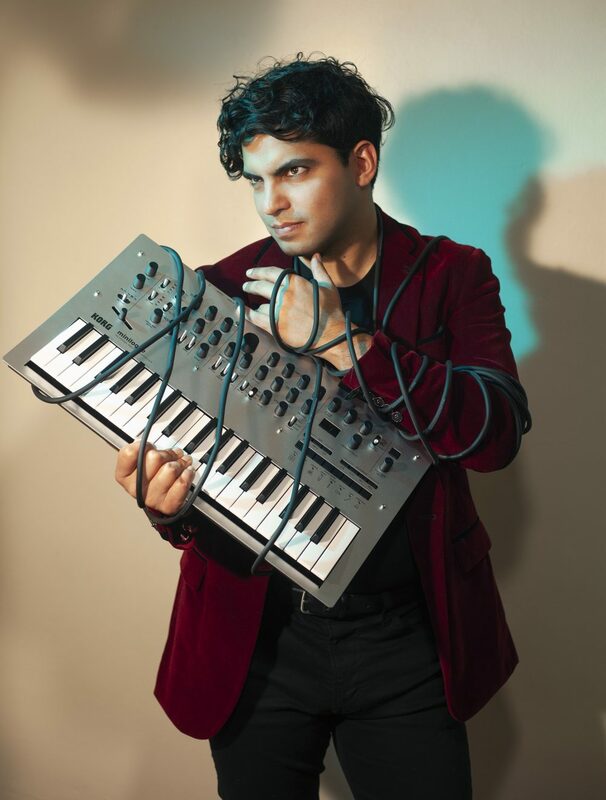 PIANO EX MACHINA is the latest mind-bending piano and multimedia international tour by award-winning London-based pianist, Zubin Kanga. Kanga returns to Australia this April to perform newly commissioned ground-breaking works exploring video games, internet culture, 80s action cinema, sci-fi, 3D motion sensors, interactive visuals, analogue synths, stop-motion animation and Artificial Intelligence. In an Australian premiere, leading German composer, Alexander Schubert’s new work, WIKI-PIANO.NET, will be performed. The work is created via a website that allows the public to compose and edit the score, just like a Wikipedia article, creating a constantly evolving work that explores internet culture. No two performances are the same! Jon Rose (Australia) Legendary composer and improviser, Jon Rose creates a wild virtuosic whirlwind of sound with a 3D hand sensor. Kate Neal (Australia) collaborates with stop-motion animator Sal Cooper to create a whimsical exploration of the kinship between cars and pianos. Tristan Coelho (Australia) combines film of rhythmic scenes from around the city in a funky, video game-inspired work. Ben Carey (Australia) uses AI and 3D scans of objects to create a sophisticated live sound and video interaction with the piano, inspired by the flocking of starlings. Adam de la Cour (UK) continues his wacky series of B-movie style works, this time recreating scenes from 1980s spy and action movies, with the secret agent going undercover as a cocktail pianist to infiltrate the sinister Steinway Clan. Zubin Kanga (Australia) creates a series of elusive multimedia portraits of friends and musical colleagues, with sound and image in counterpoint. Zubin has collaborated with many of the world’s leading composers including Thomas Adès, Michael Finnissy, George Benjamin, Nicole Lizée, Steve Reich, Liza Lim, and Alexander Schubert and premiered more than 100 new works. He is a member of Ensemble Offspring, one of Australia’s leading contemporary music ensembles. As a composer, his solo piano works have been performed at the Waterloo and Bangor Festivals and broadcast on the BBC and ABC. He recently premiered a new viola and piano work with Brett Dean at Extended Play Festival in Sydney. Piano Ex Machina is made possible with the support of the Australia Council for the Arts and Creative Partnerships Australia.